For years PC gaming has been resigned to a tiny speck of space in major entertainment stores – but that’s all about to change. 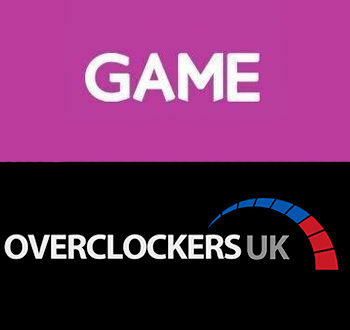 A surprise deal between performance system builder Overclockers UK (OCUK) and video game retailer GAME is bringing PC gaming back to the High Street in a big way. Customers are now able to purchase PCs from GAME stores, with more store space dedicated to the growing sector. 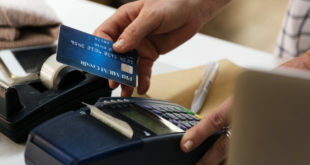 Customers will be able to check out the machines in person, take a purchase card to the till, pay for the computer and have it shipped out to them. In an industry that has seen store space for PC games, accessories and hardware dwindle over the past ten years or so, as gamers turned to online retailers, digital downloads and streaming, this could help bring computer hardware to a more mainstream audience. Currently, the enthusiast is the main type of customer that purchases PC gaming systems and components online, but by displaying affordable desktops in stores, this could catch the eyes of children, parents and others who may not be PC-savvy – opening up the market to the mainstream. Miodrag Relic, business development director for Caseking (which owns etailer Overclockers UK), told PCR: “Ultimately the idea is that GAME will be a vehicle to enable us as an industry to return PC gaming to the High Street, which we don’t have at the moment. Yes, PC World does sell some ‘gaming systems’ but that’s not exactly the focus for them, while through the GAME stores that is the focus. 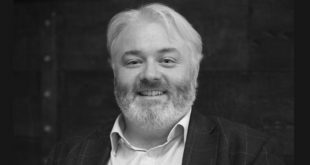 Steve Ling, executive director at Overclockers UK, added: “We want to bring the technology to the masses. “The systems on display won’t be full-on 4K machines, they will be 144Hz, 1440p, affordable, decent-level gaming systems. The exclusive deal also sees POS and brochures appear in GAME stores, while OCUK has an online shop-in-shop hub on the GAME website, complete with components and accessories. PCR understands the likes of FiercePC, CyberPower and PC Specialist will still be able to sell on GAME’s online marketplace, but as the OCUK deal is an exclusive partnership, the system builder will have a homepage presence and e-shots sent out to GAME’s customers. There will be four phases in the partnership, with phase one underway now. OCUK says it’s a ‘reciprocal’ partnership, so there will be more news to come, with Overclockers potentially making some changes to its business in light of the deal. 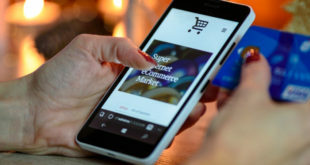 Customers will also be able to trade in old products towards PC hardware, spread the cost with GAME Finance and earn two per cent back on every purchase with the GAME Reward scheme. Over the next few weeks the partnership will increase further with the integration of GAME Wallet into Overclockers UK’s website, enabling gamers to spend their GAME Reward points and top-up and trade-in credit directly with Overclockers. In 2016, Overclockers UK will also launch GAME’s PC digital content range for sale on the Overclockers UK website, allowing gamers to access the retailer’s range of over 3,000 digital PC products. Charlotte Knight, GAME Retail’s UK Managing Director, said: “As the UK’s leading gaming specialist we are constantly working to enhance our offer in every area of gaming, making gaming more accessible to the widest community possible. This exciting new partnership with Overclockers epitomises our dedication to this, and particularly within the PC gaming category. The deal comes after GAME purchased eSports and gaming event organiser Multiplay, which hosts several popular Insomnia LAN consumer events each year. So, who approached who? OCUK says it was an “unnamed hero” that got things off the ground by asking if both parties were interested. However it happened, in striking this deal, GAME has set itself up as an expert in gaming across the board – within consoles, PCs, games and the culture that surrounds them. However, look beyond the announcement and there lies an opportunity for independent PC retailers to reach more gamers. Some customers may be interested after seeing the system in their local GAME store, but might want to explore more options – other accessories, extra advice or a different spec – and turn to their nearest PC shop.